Each year RMSHRM provides a scholarship to each of the SHRM conferences: the National SHRM Conference and the NCSHRM State Conference. Applications are currently being accepted for the SHRM National Conference Scholarship. Click here to view and submit an application. The deadline for applying is March 31, 2019. Applications for the NC SHRM Conference Scholarship will be accepted this summer. Check back here for information on how to apply for 2019! 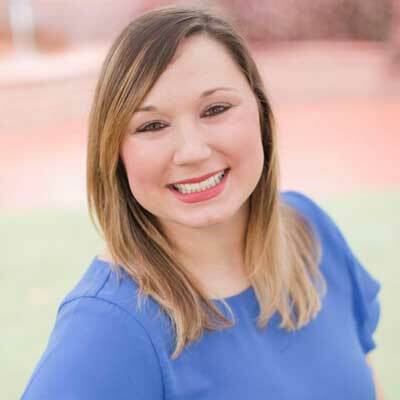 Congratulations to the 2018 NCSHRM Conference Scholarship recipient Kirsten Benzaquen! This scholarship covers the cost of registration and accommodations for the 2018 NCSHRM State Conference in Pinehurst, NC September 24th – 26th. 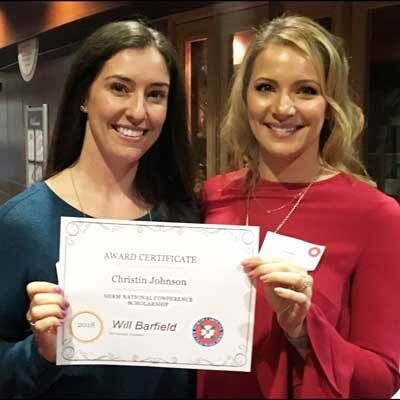 Congratulations to Christin Johnson who was awarded the 2018 SHRM National Conference Scholarship! This scholarship covered the cost of registration, transportation and accommodations for the 2018 SHRM Annual Conference, held in June 2018. Read about her experience here. The RMSHRM Tuition Assistance Scholarship is a member benefit created to encourage members of our association to pursue continuing education in the human resource management field. The winner of the scholarship, determined by the Awards Committee of RMSHRM, will receive a $500 cash award. All award decisions will be final and are one-time only awards. All applications must be in writing, with supporting documentation attached. The essay should be no longer than three double spaced, typewritten pages. Essays will be judged on clarity, grammar, sincerity and substance. To apply, please submit your application and accompanying documentation. Completed applications must be submitted by October 24, 2018. RMSHRM awards up to three $500 scholarships to deserving students who apply from our chapter supported colleges (Meredith College, William Peace University and North Carolina State University). These scholarships are reviewed between January and March and awarded at our May meeting. To apply, please submit your application and accompanying documentation. Include “Student Chapter Scholarship” and your name in the subject line. RMSHRM awards two certification scholarships each year. Certification scholarships are for members only. To be eligible, you may not be reimbursed for the exam by any other source and must provide proof of passing the exam. The winner will be reimbursed for their certification exam fees and related study materials up to $500. Deadline is July 31 for Spring testing and February 28 for Fall testing. To encourage and financially assist SHRM members in the state of North Carolina to continue their certification in the field of human resources. To apply for this scholarship for recertification, click here. The North Carolina State Council acknowledges that the future of the Human Resource profession lies with the students of today. This scholarship program provides recognition, support and monetary assistance to a student focusing on Human Resources as a profession. To find out more, click here. Endowed by Capital Broadcasting Company, Inc. The North Carolina State Council acknowledges that the future of the Human Resource profession lies with the students of today. This scholarship program provides recognition, support and monetary assistance to students focusing on Human Resources as a profession. To submit a nominee for this award, please click here. In 2018 the SHRM Foundation will award almost $500,000 in support to students seeking undergraduate, graduate, certification and professional development opportunities. SHRM encourages all eligible SHRM members, student members, chapters and State Councils and organizations to apply for one or more of the scholarships. Click here for a full list of available opportunities.